INTER-FORMAT SYMPOSIUM Reinventing Interdisciplinarity. Welcome to the non-stop event shifting from performance to lecture to basketball game to sauna broadcast to performative discussion to artists guided site/sight/seeing to discursive dinner to role play to interactive buffet to screening to imaginary cartography to workshop to tea ritual to slow reading to sonic massage to knowledge sharing to book launch to critical sauna to guided orientation to conceptual sentiments. Nida is known as a charming resort on the Baltic Sea coast – our intention is to re-brand it as a site for reinvention of interdisciplinarity between art & research & science. Notes from Nida Art Colony. A month on the Curonian Spit. Daily notes on life in a Lithuanian artist's community by Jodi Rose, Artist in Residence, Nida Art Colony 2011. In the framework of T.R.A.C.E.S. Transcultural Research Artist Curator Exchange Series and Inter-Format Symposium 2011, Nida Art Colony & Vilnius Academy of the Arts. 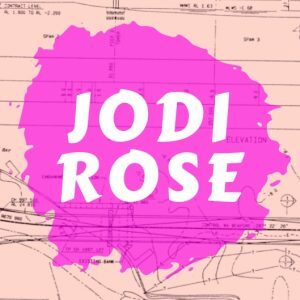 Artist & writer Jodi Rose is editorial coordinator with r0g_agency for open culture and critical transformation. Rose first recorded the cables of Sydney's Anzac Bridge in 1995, and embarked on her nomadic travels in pursuit of Singing Bridges in 2002. She presents the music of bridges around the world for your listening pleasure. "The city has become our temple, electronic networks our religion, and the inaudible vibrations of bridge cables are the voice of the divine. The word of the universe soaks through my cochlea into the nerve centres. I am wired to god." “As places of mediation, of encounter and crossing, bridges are for me very much connected with angels, who mediate between human and divine realms. Being in the middle of a bridge places us like angels, in-between, offering us a moment for contemplation and self-reflection. Email to join the bridge lovers and receive new posts by email.